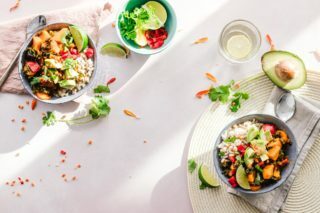 Aside from living more sustainably, The Academy of Nutrition and Dietetics has stated that adopting a vegan-based diet helps to lower the risk of obesity, type 2 diabetes, hypertension and even some cancers (1). The recommended protein intake is 56 grams per day for the average sedentary man and 46 grams per day for the average sedentary woman (2). Vegans are constantly badgered with questions about where they get their protein from yet a well-planned vegan diet can actually provide one with all the necessary nutrients their body needs – including protein. That being said, it is advisable that vegans start to include foods that are complete proteins. Out of the twenty different amino acids that exist, nine cannot be produced by the body on its own. These are called essential amino acids and they can only be acquired through foods. If a food contains all nine essential amino acids, they are considered a complete protein. 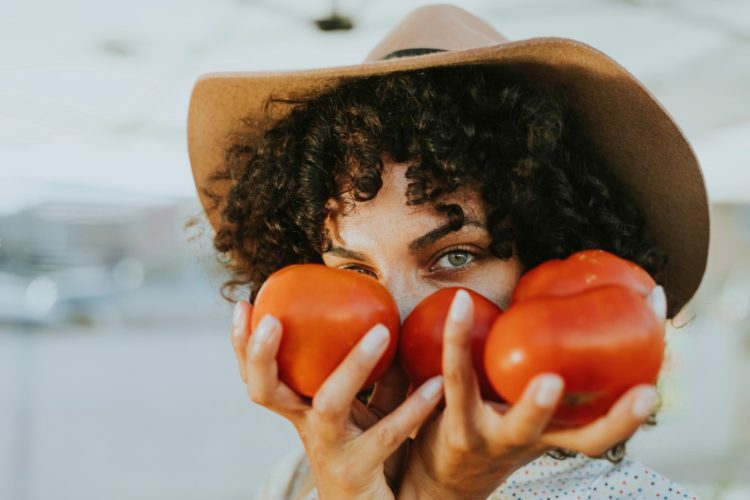 If you’re looking to adopt a vegan diet, read on for the healthy, protein-rich foods that you can include in your diet. Ezekiel bread is a type of bread made from organic, sprouted grains that include wheat, barley, millet, and oats. Per slice, Ezekiel bread contains approximately 5 g of protein. With the inclusion of sprouted grains, that slice of bread also contains healthy nutrients such as vitamin E and fiber. Legumes are likely the best and easiest vegan-sources of protein out there. Be it black beans, green beans, lentils or chickpeas – legumes are protein powerhouses that are also great for overall health. Chickpeas contain the most protein with a whopping 19 g of protein per 100 grams. Other health benefits associated with legumes include improved digestive health, better weight management, regulated blood sugar and better cardiovascular health (3,4,5). Nutritional yeast is a complete protein with 9 g of protein present in one serving. This type of yeast is used to bake bread and brew beer and it is sold as a yellow powder, granule or flakes. There are two types of nutritional yeast – fortified and unfortified. The unfortified version is free of any additional vitamins and minerals and it only contains nutrients that have been naturally produced by the growth of yeast cells. The fortified version contains synthetic nutrients that have been added in order to boost the yeast’s nutritional content. These nutrients include all the B vitamins, zinc, and magnesium. Its cheesy flavor has it being used as an ingredient in pasta, soups, sauces, and other vegan dishes. This nutrient-dense grain contains 8.14 g of protein per cup and it is a favorite amongst vegans. Aside from being a complete protein, quinoa is versatile, rich in fiber, gluten-free and it’s also a great vegan skin-care ingredient. Seitan is complete protein created when gluten is mixed with various spices. While it should be avoided by anyone with celiac disease or a gluten-intolerance, seitan is a great meat substitute. Stain contains 75 g of protein per 100 grams and it also better resembles the look and texture of meat when cooked. Moreover, it can be grilled, pan-fried and even sautéed. It also contains iron, calcium, and selenium. Soy is another complete protein that is regularly used as a substitute for meat-free meals. 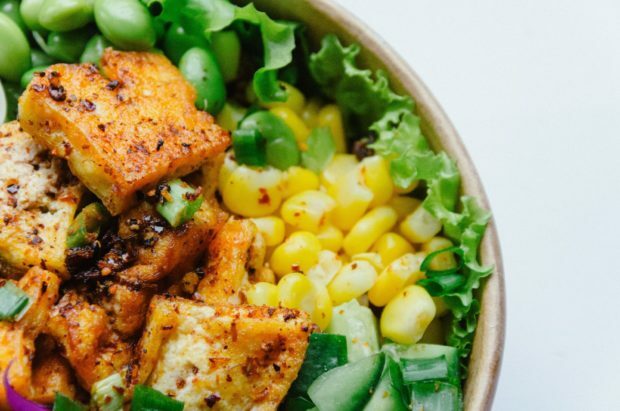 The most popular soy products include tempeh, tofu, and edamame. Tempeh is made from cooking and fermenting soybeans and it contains 19 g of protein per 100 grams. Tofu is created from said beans being pressed together and it contains 9 g of protein per 100 grams. Edamame, on the other hand, is unripe soybeans that need to be steamed or boiled prior to consumption and it contains 11 g of protein per 100 grams. Aside from their high protein content, these soy products are also rich in iron, calcium, folate, probiotics, vitamin K and fiber. Edamame has a sweet taste whereas tempeh’s taste is nuttier. Tofu doesn’t have much of a distinguishable taste yet it’s regularly used due to its ability to absorb the flavors of other ingredients. Edamame can be added to salads whereas tofu and tempeh are often used in recipes that include burgers, chicken dishes, and soups. A member of the algae family, spirulina contains approximately 8 g of protein per 2 tablespoons. It’s also rich in the antioxidants, fatty acids, iron, manganese, and potassium. Aside from being added to smoothies, spirulina can also be sprinkled over salads. 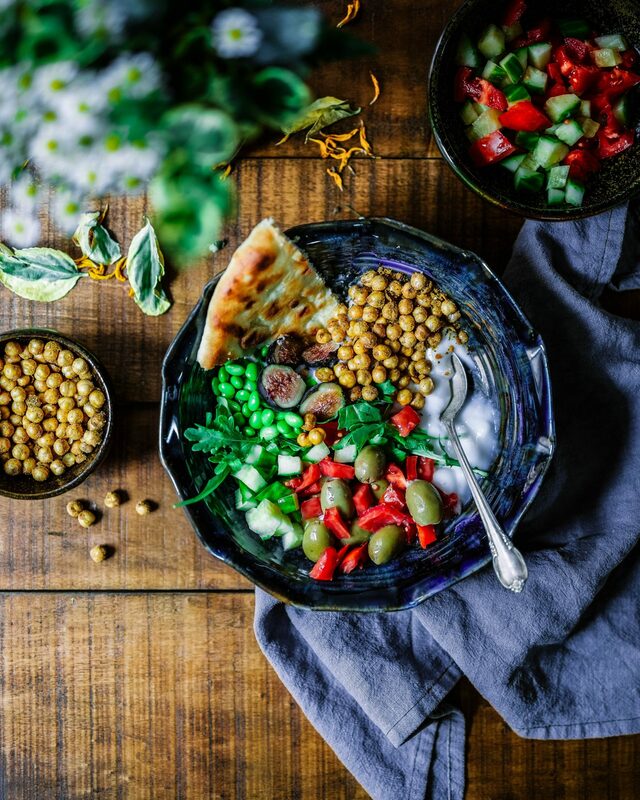 Whether you’re vegan, vegetarian or simply cutting out meat for personal and religious reasons – there’s no need to raise concerns about your protein intake. With the right plan, adding plant-based protein to your diet will be an easy and delicious task.